Two Boots Pizza in Echo Park has been temporarily shut down by the LA County Health Department for vermin infestation, but for some reason it continues to operate its delivery business. Looking online at Chownow, a system that allows diners to order Two Boots via delivery, it’s still possible to place orders despite the health department closure. According to a recent Yelp review, there was a sign saying that mechanical failure was the reason for the closure, but there’s a clear sign that displays the Health Department’s notice of closure. Two Boots recently closed its Downtown LA location, which had lasted six years, meaning this is the only remaining Two Boots operation at the moment. So unless Two Boots is working from a commissary kitchen, it seems that Two Boots continues to deliver its pizza illegally. LA County Health’s website also confirms the closure but does not state a reopening date. In addition, calls to the restaurant reveal that the retail storefront is closed at the moment, and whoever’s answering the phone is telling customers to use delivery. Until the restaurant can reopen from another inspection (usually restaurants can reopen once they’ve been reinspected), Two Boots seems to be operating without a valid license, which in turn could lead to additional penalties and longer or even a permanent closure. The New York City-based pizza chain first opened in Echo Park back in February 2009. 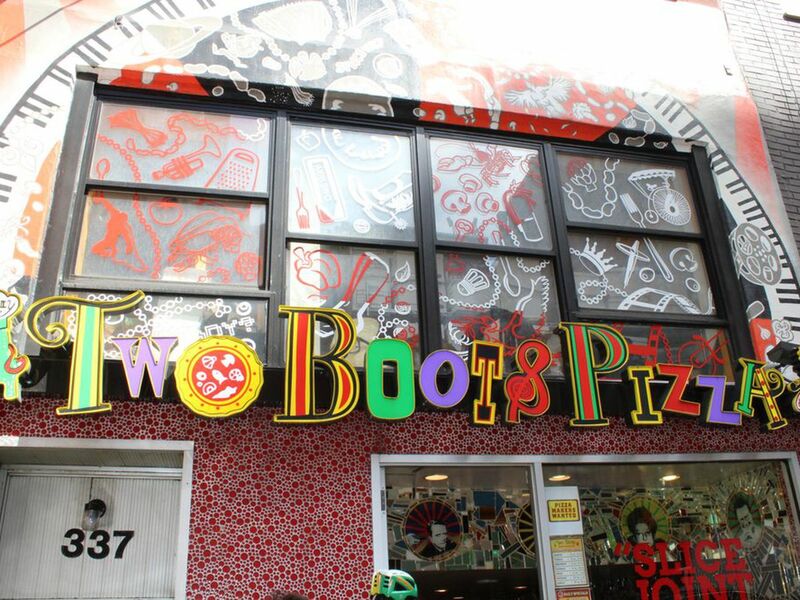 Two Boots Pizza. 1818 West Sunset Boulevard, Los Angeles, CA.